3 core armoured cable is one type of armoured cable, which we often use it in the cable tray, conduit and underground for mains electricity. Huadong Cable Group is a professional 3 core armored cable manufacturer in China. We have exported three core armoured cable to world for 15 of experience, such as South Africa, Philippines, Indonesia, Malaysia, Singapore, South Africa and so on. There are so many successful cases. 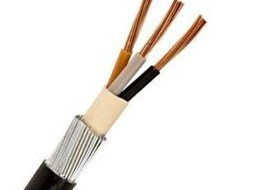 Want high quality 3 core armoured mains cable? Here we are. Email: sales@hdarmouredcable.com. For buying low price 3 core copper armoured cable, you can choose the voltage of 0.6/1kv or 1/35kv, and they all can be 3 core. 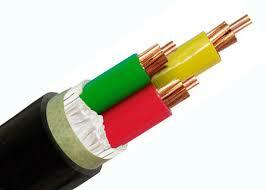 Whatever you need low voltage power cable or medium voltage power cables. Expect the voltage, you can also choose the cross section, such as 4mm, 6mm, 10mm, 16mm, 25mm, 35mm and so on. These are some popular crosse section and normal section. If you need big cross section, we can also provide you for you underground 500mm. Of course, buying low price armoured 3 core cable with high quality is a complicated task, because it is related with the safe and whole building. As for standard and material of conductor and insulation, you can send to us, we will provide you a complete 3 core armored cable quotation. By the way, it will be very nice of you to provide the quantity you want. Email: sales@hdarmouredcable.com. When you choose 3 core armoured cable 16mm, you should consider every condition. Except the accurate specification, you should also consider the environment. For example, some area has the very cold weather, but some place is very hot. There are also some place has the wind, salt soil, and pay attention to the extreme weather. Once there is something, it will influence the life and normal work. Therefore, you should consider complete condition when you buy low price armoured cable 16mm 3 core and choose suitable specification. Get 16mm 3 core armoured cable price right now. Email: sales@hdarmouredcable.com. When you want to buy pvc armoured cable, the first thing you should find out the specification you want, such as cores, cross-section, voltage and other information. As for this point, you can ask the experts like electrician, because industry specializing in surgery. When you decide to buy low price 25mm armoured cable 3 core. You can search it online, and you may search on Google, special platform, which sells. When you have huge information, you can pick the suitable one. You can get high quality 25mm 3 core armoured cable price from manufacturers you get. Of course, if the price is good or satisfy your needs, you can have a visiting. I am sure you have your standard to judge. As a professional 25mm 3 core armoured cable factory, what we can do is to provide high quality cable with reasonable price. Email: sales@hdarmouredcable.com. 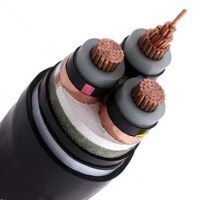 Expect these product we have mentioned, 4mm 3 core armoured cable, 35mm 3 core armoured cable etc, you can also choose. Huadong is a great Three core armoured cable manufacturer with our own factory. We produce and we sell it. Before manufacturing, we select high quality material: aluminum, copper, steel, pvc, xlpe, xlpe and so on. We promise use high quality original material. In producing, we use the accurate machine and mold. Ever section will be according to the regular in producing. After get armoured cable 3 core, we have complete testing. The it can be packaged and delivery to you. For the staff, we have our own experts in cable field, which have rich experience. Before going to work, operator need to go through professional training. It is responsible for product and their safe. Email: sales@hdarmouredcable.com. 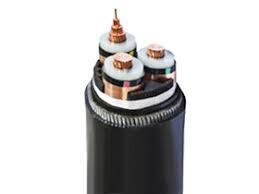 Send the inquiry now, you can get 3 core armoured cable price with short time, just contact with us.